Thanks to Bim Adewunmi, I know that the world can survive anything, because once upon a time in the ’50s, Josephine Baker (a literal spy for the French Resistance!) 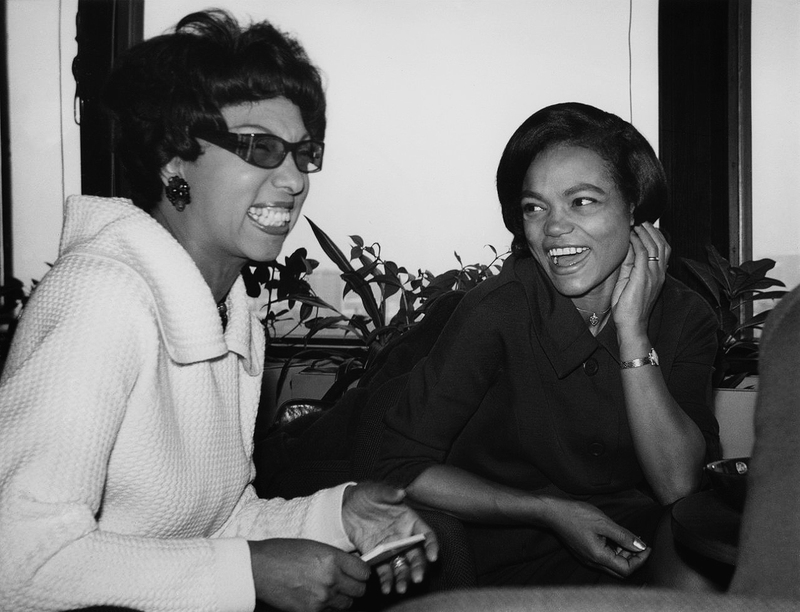 and Eartha Kitt (to-Mrs. Johnson’s-face Vietnam critic! this! ), two Black women so extraordinary and marvelous as to defy superlatives, were in the same room together and the universe didn’t simply mic drop and shut it all down. There’s no news peg, this is just wonderful. Now, onto the other things we have to survive these days. Look at Trump isolating us from our friends putting us down like every bad boyfriend since the dawn of time. If you’re on Twitter, your eyes may glaze over at exhortations to read someone’s important thread, but if you want to understand where the alt-right came from, read these from Colin Spacetwinks (“what’s the inside story on these young fascist nazis” a lot of them ended up in shock humor/lonely dude forums that nazi recruiters joined) and Morgan M. Page (Ten years ago I would not have predicted that geek culture would plunge the world into political chaos). I understand giving voice to voices one part of the country may prefer not to hear. In that vein, I totally get why Vox First Person posted an evangelical theologian’s explanation of why pro-lifers focus so much on abortion. It is a long, nicely worded explanation of why the state needs to dictate a woman’s decision-making process about her own bodily autonomy, a position rooted in a Christianity that is not an official state religion nor the faith of millions of Americans. So, in contrast, please read Tucker FitzGerald’s “Intolerant Liberals,” a broadside that begins as a rebuke of the idea that higher education discriminates against conservatives and ends as a full-throated defense of liberalism and what it won’t accept. Which is important to keep in mind, particularly when FLOTUS just filed a lawsuit to leverage the presidency into branding deals for herself. Ending on a happy note, if you haven’t seen Melissa McCarthy as Trump press secretary Sean Spicer, you must watch it. Especially since you know it’s doing what all good journalism should do — comforting the afflicted and afflicting the comfortable.